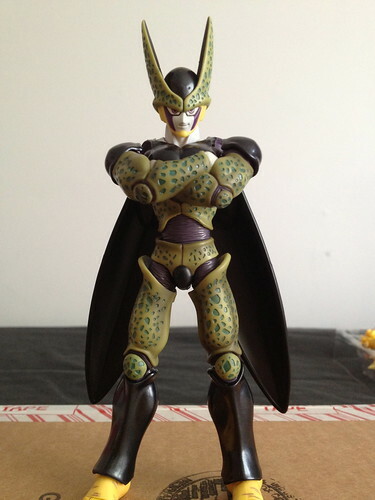 Anyway...the figure is beautiful & I'm happy to finally have it. 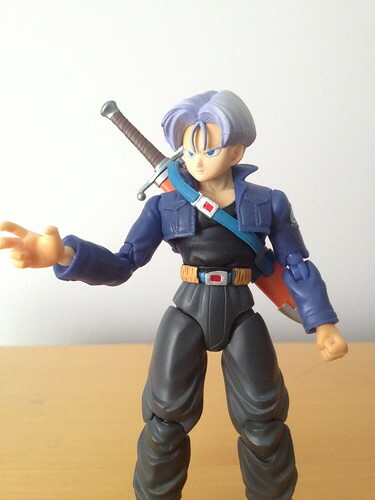 He looks as great as I expected! Gonstead yea that's the one. I don't recall much of it though. dare2dream I'm still waiting on mine be happy you got yours already lol. post some pics? 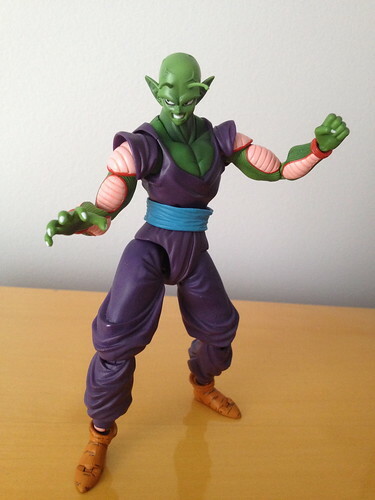 I just got my Piccolo from ToyArena too! 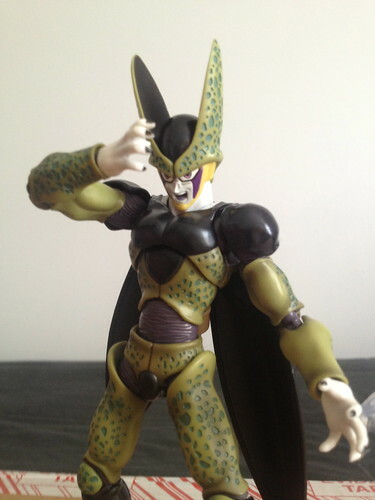 He is honestly one of the best looking figures I have ever seen. The detail is remarkable. 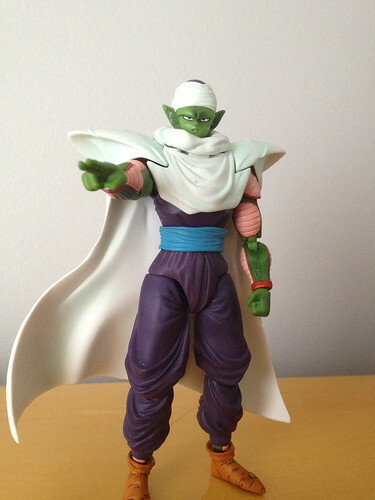 Hey Piccolo! 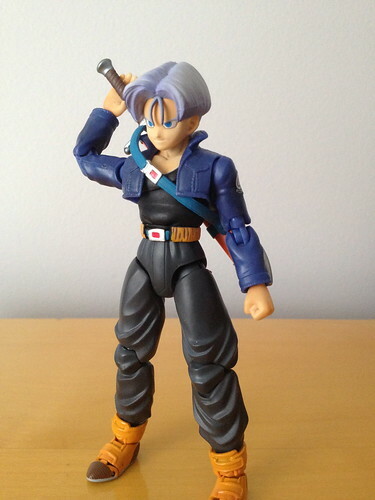 My name is Trunks! Alright, who are you and how dare you disturb my slumber! 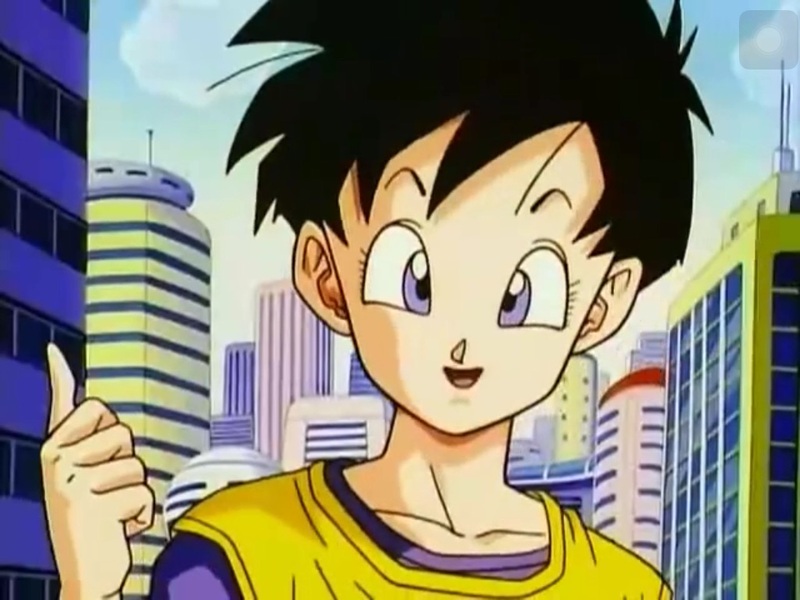 I'm the son of Vegeta and Bulma and I've come from the future to warn you of a grave danger. 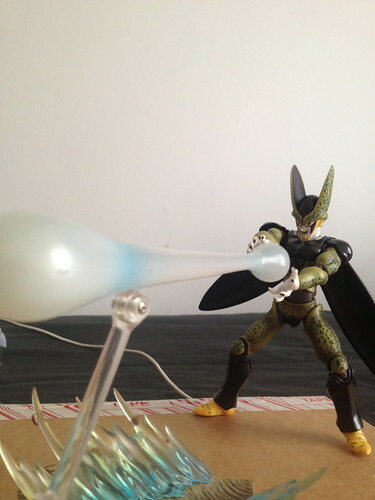 His name is Cell and he's stronger than Frieza! That's just ridiculous. I don't believe you! 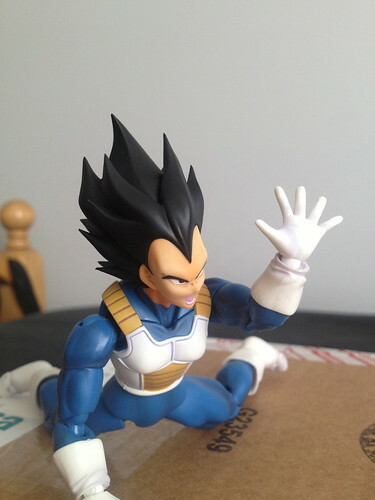 Vegeta doesn't even like girls! What?! 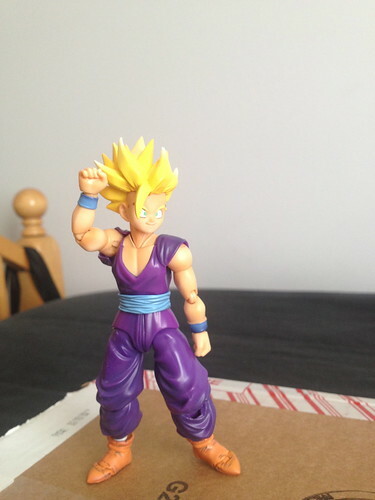 He's a Super Saiyan! Well, do you believe me now? Alright! Let's go warn the others and begin training! Haha! That's funny. "Vegeta doesn't even like girls". Great pics!! 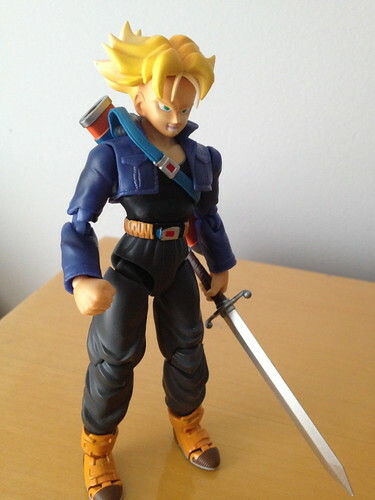 I agree about the sculpt/details, I knew he would be amazing but seeing him in person really owned my life lol. 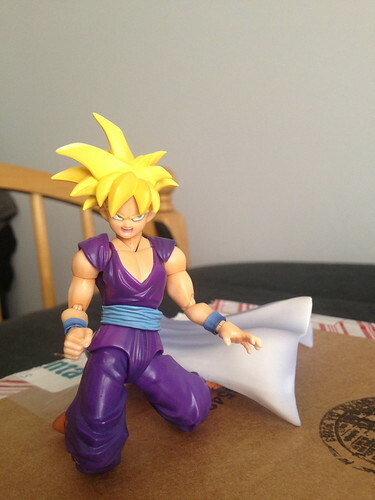 ZFM, I haven't unboxed him yet. 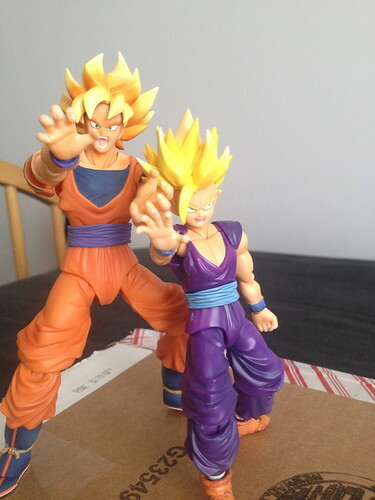 I haven't unboxed and of my Figuarts besides the 2 Gohans I already owned, but! They're not staying trapped in there forever. I'm just waiting till I move to a new apartment (next month or 2). 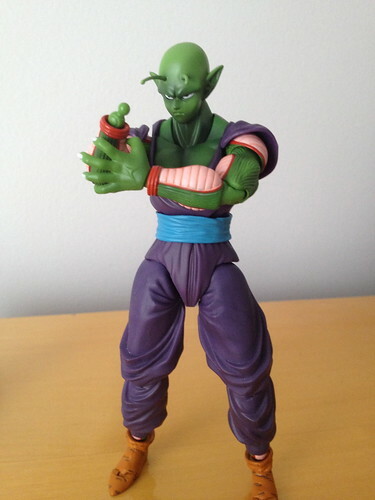 Is it just me or did they make Frieza too short. 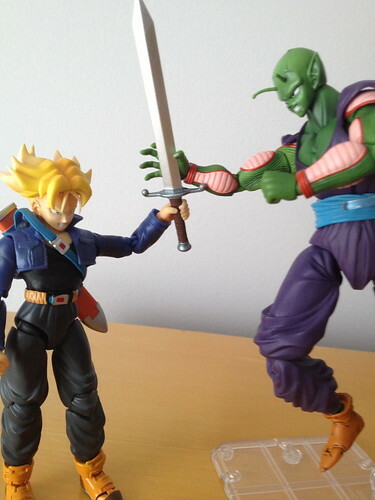 I see picture of him next to Goku and it really bothers me how short he is. 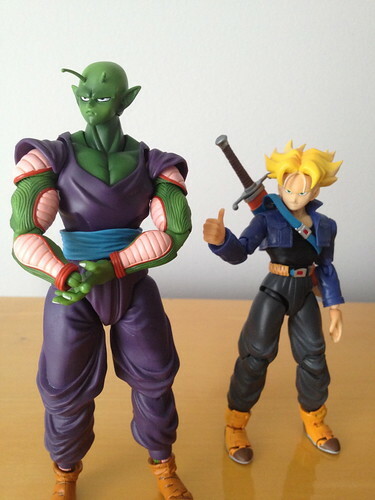 Isn't he supposed to be short? 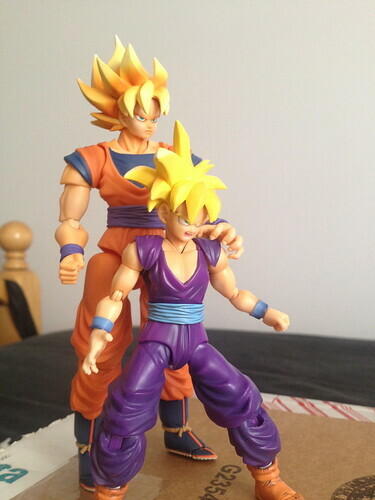 He's smaller than vegeta and he's short as it is. As far as I know I think someone said he was to scale with Irwin. I'm going to kill you like I killed your father! I can't do it. I'm too weak! 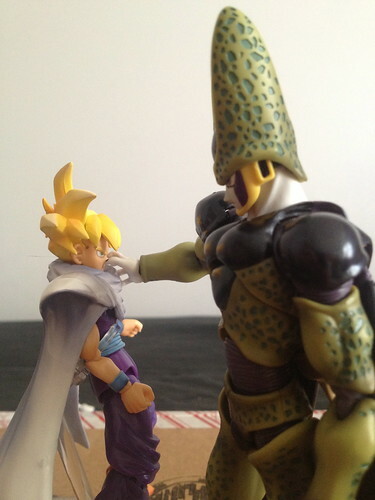 Oh shut up Gohan! Quit complaining! You're our last chance! You can do it son. 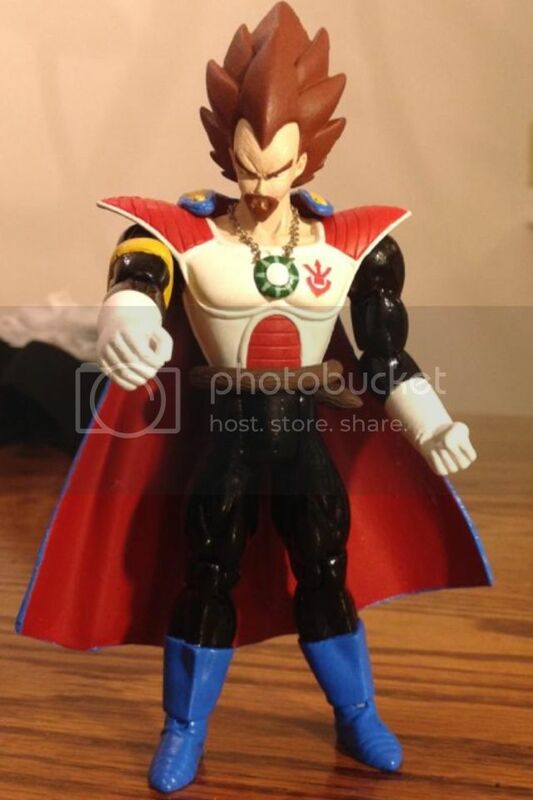 For all the people of Earth, let all of your power out now! Why can't I do that?! lol, nice one Prodigy1367, looks awesome. Haha! 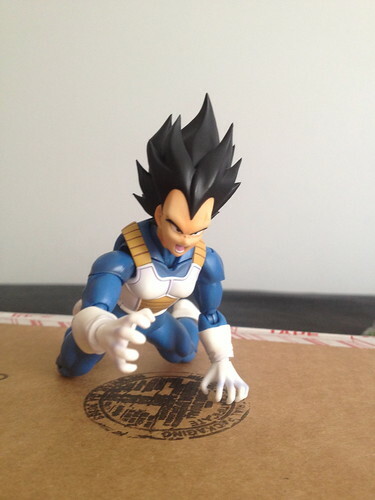 Poor vegeta. Nice pickup btw. 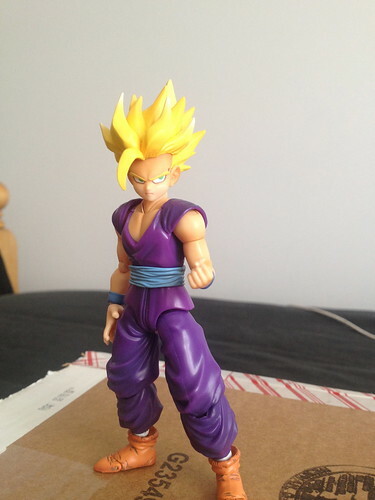 1 more down, woo hoo, 3 left to go Gohan/ZFM? 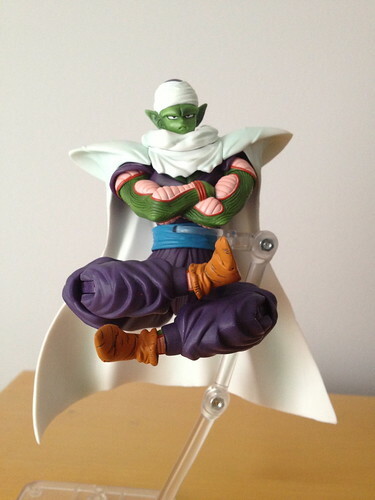 Nice pickup on piccolo Z!